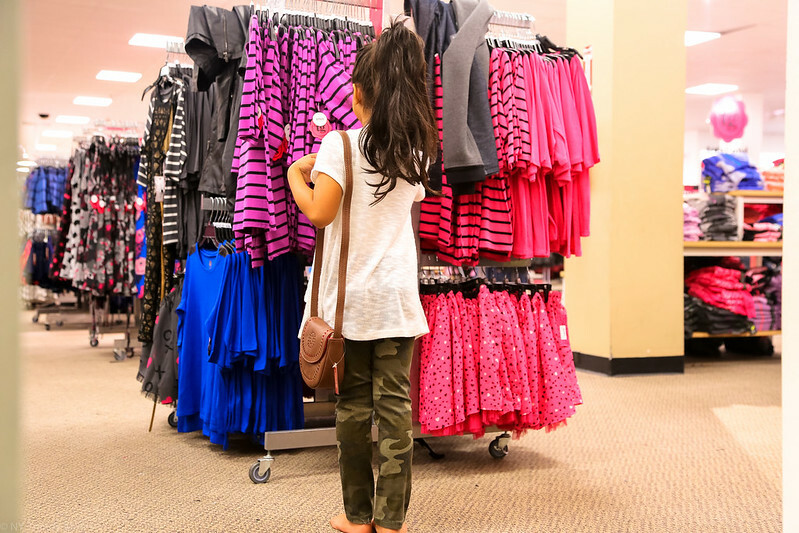 Taking this little girl back-to-school shopping at JCPenney was bittersweet! For me, going shopping for my girls is one of the hardest things to do. You know, realizing that they're no longer a size 2t now they're a 6-7. Seeing them style their own looks and realizing that they don't need your help anymore. Seeing their personalities come to life through their wardrobe... it's freaky. Despite my sadness, she was so happy after browsing through the racks and finding cute dresses + colorful scarfs.. which happen to be her favorites. 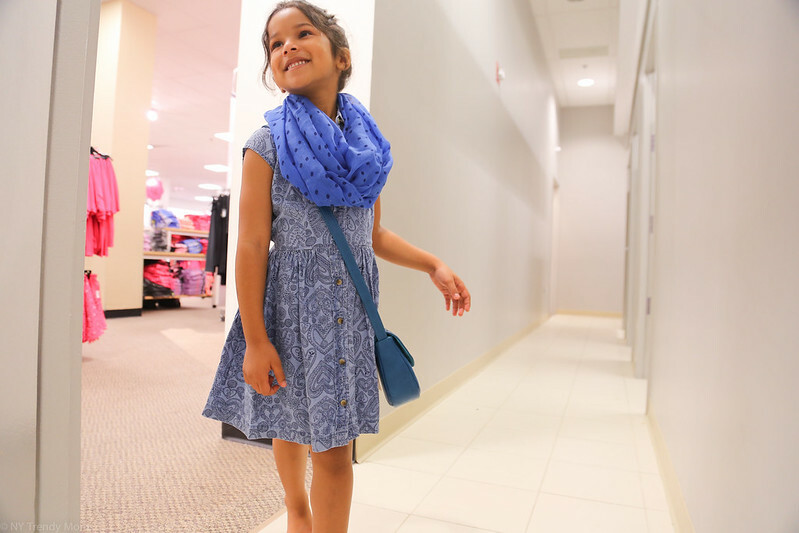 Zareena is all about wearing bright colors and fun patterns. You can definitely see she's a little fashionista, I wonder where she gets it from. The different styles and selections really helped her express herself. 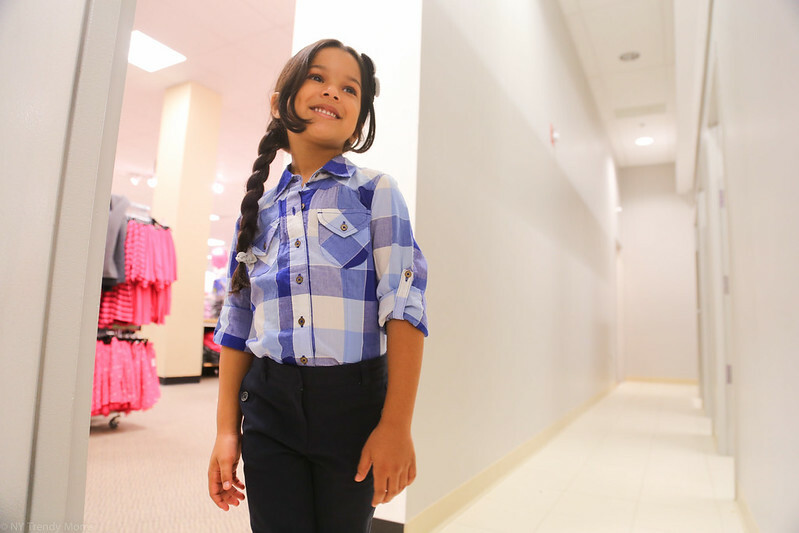 Despite the fact that she is required to wear uniform to school and can only wear regular clothes on Fridays, she still managed to make the trendy uniform work (as you can see in the first photo). She is such a well put together little girl it's mind-blowing. She has not stopped talking about going back to school the entire summer and every time she sees her old classmates she gets super excited. She understands that fashion is a form of self-expression and she expresses herself well. Her sweetness and quirkiness shines through her style. I'm so happy we were able to find so many different styles in one place. When It Fits, You Feel It. "Disclosure: Compensation was provided by JCPenney via Mode Media. The opinions expressed herein are those of the author and are not indicative of the opinions or positions of JCPenney."